A decision on which press regulation Royal Charter the Government will back was delayed yet further this week as the Privy Council referred the matter to a sub-committee for further consideration. 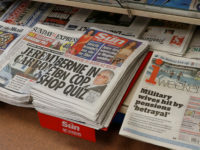 At a meeting of the Privy Council on Wednesday – attended by its president Nick Clegg, Chancellor George Osborne, education secretary Michael Gove and Lord McNally – it was confirmed that the sub-committee would consider the newspaper industry-backed charter and report back. Yesterday, the Department of Culture Media and Sport declined to answer any further questions about what happened at Wednesday's meeting. The Privy Council comprises Government ministers and acts on the recommendation of the relevant Government department. Speaking in the House of Lords Government spokesman Lord Gardiner of Kimble said that membership of the sub-committee would be announced "very shortly". The Government has decided that the Pressbof press regulation Royal Charter formulated by the newspaper and magazine industry will be considered first by the Privy Council. It may then consider the Parliament-backed press regulation Royal Charter in the Autumn. The Parliament-plan calls for a system which has greater independence from the press, which is set in stone via legislation and which includes a libel disputes mediation arm. 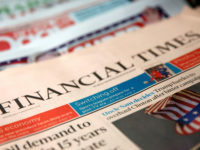 The newspaper and magazine industry this week outlined plans for a new regulator called the Independent Press Standard Organisation. But this new regulator will only insulate members from the threat of exemplary damages in libel cases, as outlined in the Crimes and Courts Bill 2013, if it has the backing of a Royal Charter. Labour former Deputy Prime Minster Lord Prescott said yesterday: "The agenda, the rules of decisions, the actual timing of this and attendance of this is by Cabinet members and they have decided to put the press charter on a greater priority." He added: "In giving priority to this they have chosen to make a controversial political decision inside the Privy Council. "That inevitably may mean a division between Parliament and the monarchy." Labour's Lord Richard asked Lord Gardiner: "Who is going to be on this committee? "Can you confirm they will all be members of the Cabinet? "Can you also confirm that decisions that will be taken by this particular committee will not be reported to the whole of the Privy Council or to Parliament but will be a Governmental decision? "We will then be placed in a situation where a committee of the Privy Council consisting of members of the Cabinet will have taken a decision which will be backed by the Government and we will be presented with a fait accompli. "Don't you think that's an absolute disgrace?" 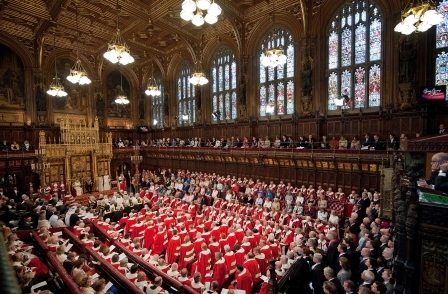 Lord Gardiner said the industry's version of a Royal Charter would have to be "considered by a committee of the Privy Council and a recommendation made before any recommendation is made regarding the cross-party charter". He said it was not about a "sense of priority" but about following the correct procedures. And he said it would be for the committee to "ensure their work is rigorously applied" but he said he could not comment on its membership until it was announced. Baroness Williams of Crosby has written to the secretary of the Privy Council to ask him to widen the membership of the committee. Williams said that she was worried the decision would in effect be taken by the Government rather than the Privy Council and called for the membership of the committee to be broadened. She said: "An agreement between all the parties in Parliament is an extremely important step in asserting the power and the influence of Parliament." She added that the Royal Charter would not be examined by "all the members or even a selection of members" of the Privy Council and it would be a "Government decision rather than a Privy Council one. "I have written to the secretary of the Privy Council as a privy counsellor to ask whether he will consider widening the terms of those taking part."